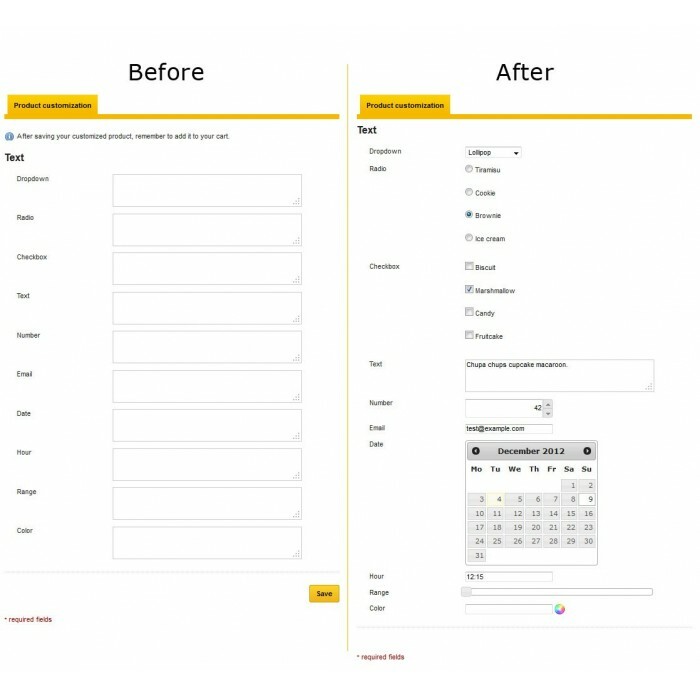 Customization (customization tab in product sheets) is a powerful tool of Prestashop unfortunately underutilized. You can allow your customers to customize the products they buy: Print text on a mug, choose a font, a color, or the date of a rental vehicle... anything is possible but the standard tool is limited. Indeed Prestashop only allows to create free text fields, so the customer must type that he wants his text in "Time New Roman" and "Blue". That is impossible. 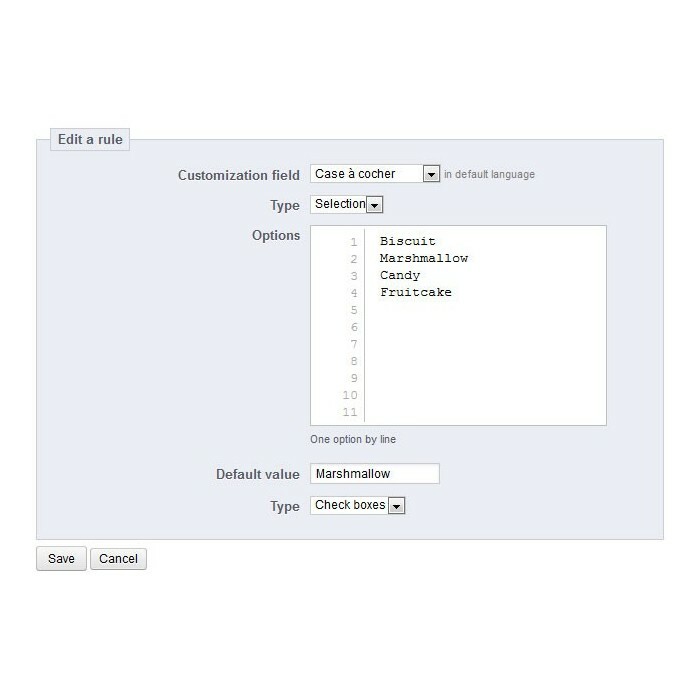 It is easier to offer complex customizations without annoying the customer. You can further avoid creating combinations for options that do not affect the stocks, for example a product with or without wrapping paper. 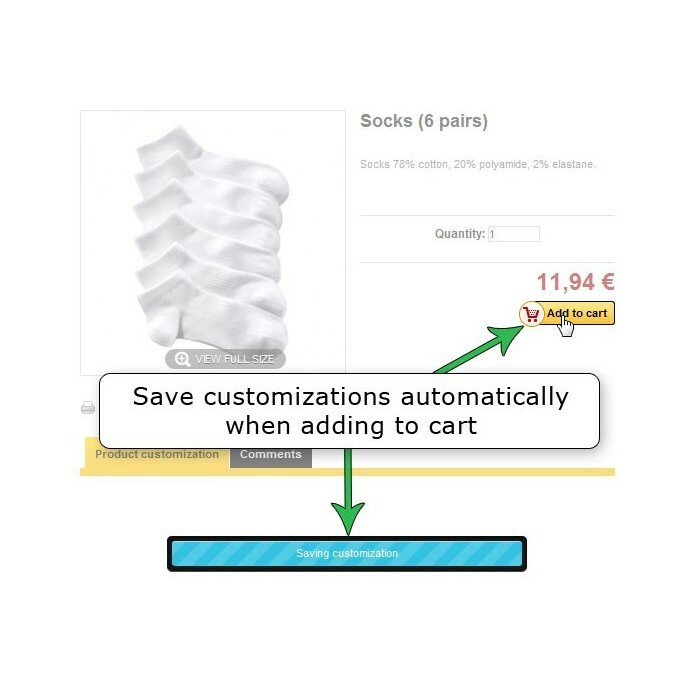 Moreover a customized product must be add to cart in two step: save the customization and then add product to the cart. This is very annoying and disturbing for customers, even more that customizations are not visible by default. 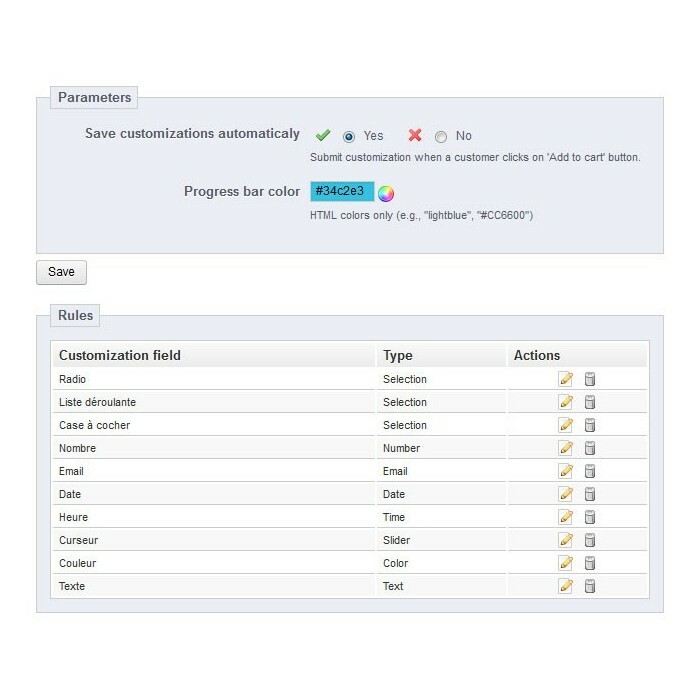 This module corrects it this by saving the customizations automatically before adding to cart. The customer therefore has only one step to buy a product. The client will have a better vision of the possible customizations with less risk of errors and especially he will not have to record its personalization before adding the product to the cart.